Are you interested in the current weather development and don't want to just look helplessly into the sky? Receive real-time weather satellite images with your own equipment! 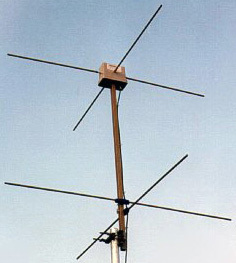 With antennas and receivers from WRAASE electronic. A special antenna which allows wide-angle reception of the satellites' radio signals. A computer/laptop with an audio-input and the special, free software "WXtoImg" installed. There may be lots of reasons for acquiring a private weather satellite readout station, but one thing is sure: Only direct reception from satellite provides accurate and realtime information of the current weather situation. It is an important tool for planning weather depending activities to avoid dangers and damages. 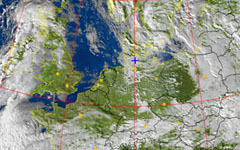 Especially in situations and regions where other weather information sources fail, direct satellite reception remains a reliable and easy to use tool.